I just bought a 1500 Ram from these guys. They are a class act all the way. Everyone was courteous and helpful. They know what they're selling.The most important thing was... they didn't try to upsell me on anything like other dealers like to do. They said, "You want this?" I said, "Meh." They stopped pushing it.The next vehicle I buy will also be from these guys. 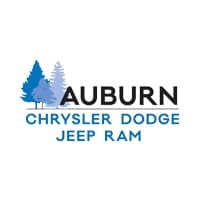 I did a vehicle replacement through Auburn Dodge. They treated me courteously, knew everything I could want to know about my vehicle, etc. They even went old school, calling me the next day to check on me and remind me that I can call them with any questions. Charles Bruce was very helpful. The only negative didn’t get the cap back on after tire repair. Didn’t notice till I got home, Grass Valley, 30+ minutes away. Oh well will try to pick one up when I’m out and about. Kristi Haley guided by Dodge Ram through needed repairs and got it back to me the same day when it was supposed to take over night...saved me a second trip. My truck went in for warranty work. Brian Evans was very professional and really easy to work with. He got my truck back to me as soon as possible. He kept me updated on progress and the process. I would highly recommend him for any work needed and will definitely take my vehicle to him for all of my service needs. Josh is awesome ! He made it a great day when I went to look at the new 2019 Grand Cherokee X he found that I was wanting and had it dealer traded , which made it even better for me . Thanks again Josh ! !